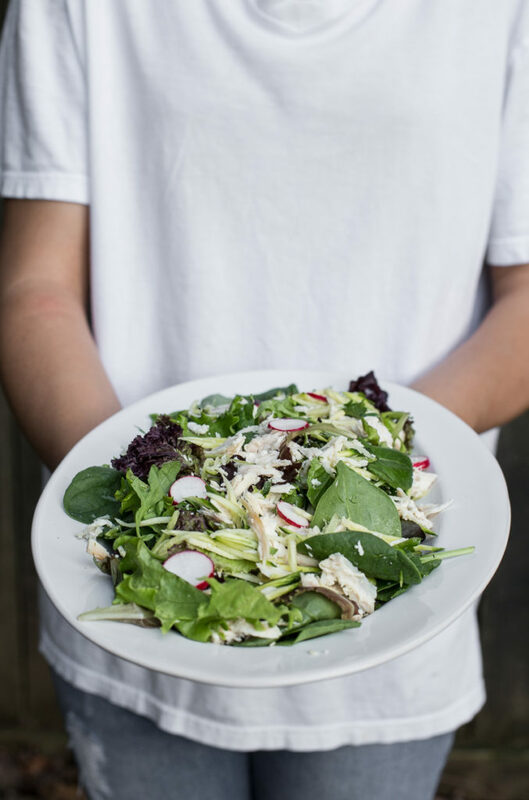 This easy to create salad will take you 15 minutes or less to assemble. 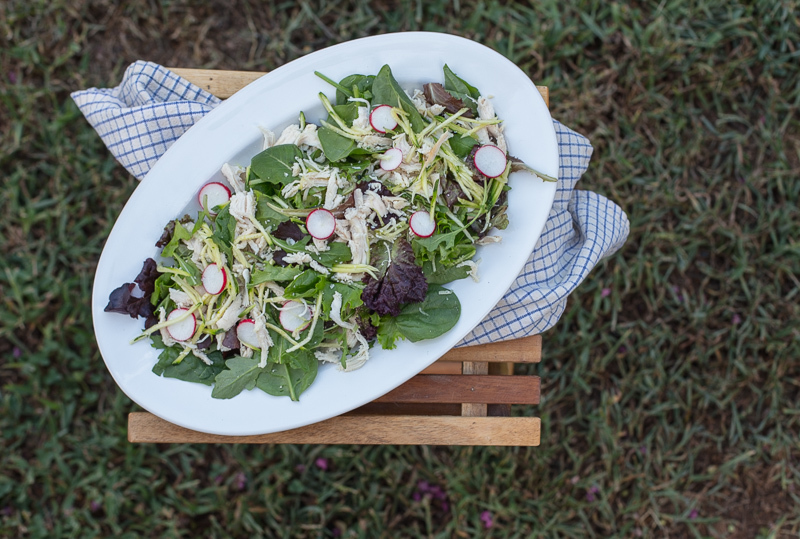 Enjoy this light Spring salad at your next picnic or outdoor meal as the weather warms up. Place all the salad ingredients in a large mixing bowl and toss together lightly with a pair of tongs. Add the salad dressing of choice right before serving to keep the salad fresh.